Dr. Truskey's research interests include cardiovascular tissue engineering, the mechanisms of atherogenesis, cell adhesion, and cell biomechanics. Mechanisms of Atherogenesis. Atherosclerosis is a disease of large and medium-size arteries involving the localized accumulation of cholesterol and other lipids. Stroke and heart attacks arising from the atherosclerosis are the leading cause of death in Western Europe and the United States. The disease process involves a complex interaction among fluid dynamics, mass transport and changes in cell type and function in the arterial intima. Engineering provides important skills to unravel the mechanisms of the disease. The objective is to understand the relationship among endothelial injury, macrophage accumulation, and intimal accumulation of low density lipoprotein (LDL). We are currently addressing the following hypotheses. (1) Local oxidation of low-density lipoprotein in the arterial wall differentially affects monocyte entry and macrophage residence times in the vessel wall. (2) Antioxidants alter the number of adhesion molecules present on endothelium in lesion-prone areas. (3) The rate of monocyte entry into the vessel wall represents the interaction among cells in luminal flow, the presence of secondary flows which transport the cell to the surface, adhesion molecule expression, and local mass transport of chemotactic agents released by the endothelium and intimal macrophages. To address these hypotheses we are examining the dynamics of macrophage accumulation, assessing the relationship between monocyte adhesion and adhesion molecule density, determining the role of normal and oxidized LDL upon adhesion molecule expression and macrophage accumulation and evaluating the influence of hemodynamics on adhesion molecule expression and monocyte adhesion. Results from these studies will provide mechanisms of lesion formation that can be tested in humans. Cell Adhesion and Cell Biomechanics. This research focuses upon the effect of flow on endothelial cell adhesion to synthetic surfaces and monocyte adhesion to endothelium. Regions of flow separation and secondary flow are implicated in atherogenbesis and the failure of synthetic vascular grafts. Further, hydrodynamic forces can alter the function of endothelial cells. The objectives of this project are to: 1) examine the adhesion of endothelial cells in different flow fields; 2) determine the effect of material properties on the strength of cell adhesion; and 3) assess the mechanism of cell detachment. Exposure of cells to laminar flow is used to measure the strength of adhesion. Numerical models are used to determine the hyrdodynamic forces on the cells. Real-time total internal reflection fluorescence microscopy (TIRFM) is used to determine cell-substrate separation distances and contact areas. Changes in total internal reflection fluorescence patterns after exposure of endothelial cells to flow provide information about the mechanisms of cell detachment. These techniques are used to quantify the bond force involved in cell adhesion on different biomaterial surfaces; characterize mechanisms of cell detachment (adhesive vs. cohesive failure); and determine the role of changes in cell function upon the strength of adhesion. Atomic Force Microscopy (AFM) is an exciting new technique to study the mechanical behavior of cells and the dynamics of the cytoskeleton in response the application of forces. We use AFM alone or combined with TIRFM to study the dynamics of focal contact movement. 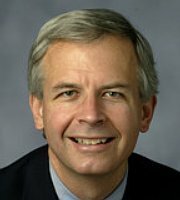 Dr. Truskey's research interests include cardiovascular tissue engineering, mechanisms of atherogenesis, cell adhesion, and cell biomechanics. J. A. Stiber and Z. S. Zhang and J. Burch and J. P. Eu and S. Zhang and G. A. Truskey and M. Seth and N. Yamaguchi and G. Meissner and R. Shah and P. F. Worley and R. S. Williams and P. B. Rosenberg, Mice lacking homer 1 exhibit a skeletal myopathy characterized by abnormal transient receptor potential channel activity, Molecular And Cellular Biology, vol. 28 no. 8 (April, 2008), pp. 2637 -- 2647 [abs]. D. B. Khismatullin and G. A. Truskey, Leukocyte rolling on P-selectin: A 3D numerical study of the effects of cell viscosity and microvillar density, Biorheology, vol. 45 no. 1-2 (2008), pp. 63 -- 63 . G. A. Truskey and J. P. Irick, Effect of fatty acid exchange on leukocyte mechanical properties and adhesion to endothelium, Biorheology, vol. 45 no. 1-2 (2008), pp. 32 -- 33 . 81. Stiber, J.A., Zhang, Z-S., Burch, J., Eu, J.P., Zhang, S., Truskey, G.A., Seth, M., Yamaguchi, N., Meissner, G., Shah, R., Worley, P.F., Williams, R.S., Rosenberg, P.B., Mice Lacking Homer 1Exhibit a Skeletal Myopathy 1 Characterized by Abnormal TRP Channel Activity, Mol. Cell. Biol., vol. 28 (2008), pp. 2637-2647 . Wallace, Charles Stevenson and Champion, John C. and Truskey, George A., Adhesion and function of human endothelial cells co-cultured on smooth muscle cells, Annals of Biomedical Engineering, vol. 35 no. 3 (2007), pp. 375 - 386 [s10439-006-9230-5] [abs].